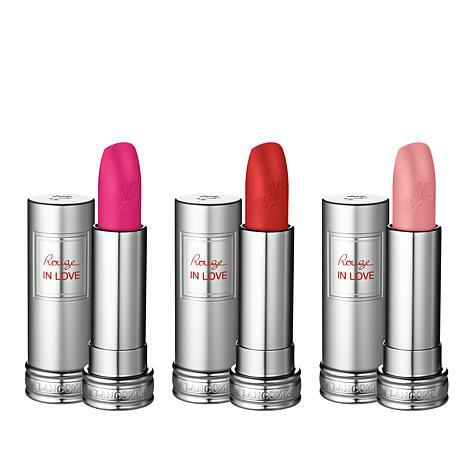 Trio of Rouge in Love lipsticks in bright, fun colors. Gives shine for up to 4 hours and wear for up to 6 hours without any drying or matifying effect. Compliment will poor in. Colors brighten your look and mood! 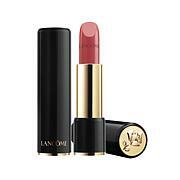 There is no bad color in the Lancome' lipstick line! I have so many and will purchase more I'm sure! I've been wearing this lipstick for 20 years or more! The lipstick is moist and stays on a long time. My favorite lipstick ever! Because I buy so many I have had certain ones for quite awhile. 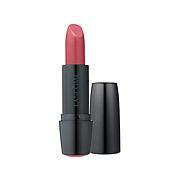 It does not get that stale smell and dry up as alot of lipsticks get overtime. I can't brag enough about this lipstick! Love! Love! The Colors were just okay liked the Pink!! Love the lipsticks. A lot of moisture for the lips and the colors are vibrant. Did not like any of the colors.